Not only does the new dive centre allow for you to pass by any time to visit, it’s also got a lot more space with 2 big classrooms, fully air-conditioned of course; a dedicated tec area; changing facilities and lockers and we’ve got the purpose-built training pool with CESA line again, how exciting is that! As for the hotel, Naama Blue hotel has a great reputation amongst divers for providing all that is needed during a dive holiday to Sharm. 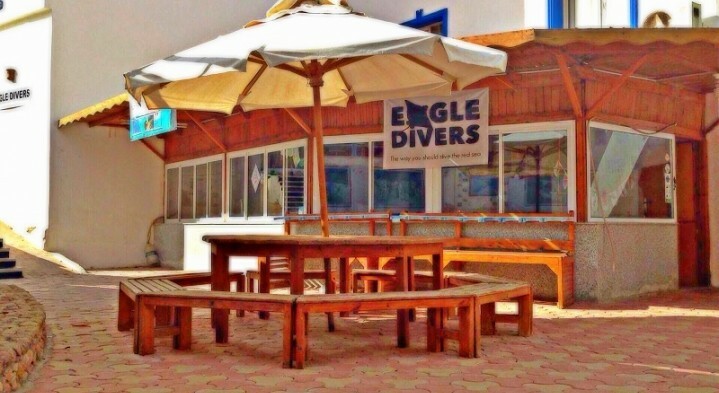 It’s located on the street leading down to Naama Bay jetty, opposite side to the old bowling alley for those of you who’ve joined us for a game there in the past. It’s literally a 5 minute walk to the jetty, 5 minute walk to Genena City for the famous cake and ice cream shop Tseppes (who doesn’t love a post-dive ice cream!) or to the private beach, and you have the supermarket, dive shops, cafes, bars and restaurants of Naama Bay all next door but without being too close to cause noise disruptions. And for those of you who are looking for good quality but budget friendly accommodation on-site at the diving centre, check out the special package deals below, on offer from NOW until the end of OCTOBER 2018! Valid from now until the end of October 2018 – no deposit required, payment made on arrival. With return airport transfer available direct from the dive centre, you just need to let us know when you’re coming and book your flights, we’ll do the rest…..
STAY & LEARN TO DIVE! *Price includes full equipment rental for the duration of your course but does not include PADI material and certification fee or eLearning/downloadable Touch options.